Over the past few months there seemingly has been more news about concert venues in the Cincinnati area than concerts themselves. There was of course the drama that has temporarily shuttered The Southgate House in Newport which has plans to reopen the venue in some form or fashion elsewhere during 2012. Then came the news of the loss of The Mad Hatter in Covington which was a small room that hosted many up and coming acts. Not all news has been bad though, as some of the larger venues in town have booked shows that generally pass by Cincinnati. The newly renovated Taft Theatre will be hosting Ryan Adams at the end of January, and The Black Keys have chosen US Bank Arena as a launching point for their 2012 North American tour with a show on March 3. Additionally, the historic Emery Theatre in Over the Rhine has shown signs of life with a successful fundraiser during November 2011. While all of that drama has unfolded, MOTR Pub on Main Street has quietly been chugging along during their first 15 months of operation bringing local and national acts to the stage nightly, all the while helping to cultivate the music scene in Cincinnati. Dan McCabe, also known for his leadership with MidPoint Music Festival has breathed life into a bar and brought along with it a venue that showcases up and coming talent all without ever having a cover charge. MOTR also features a free jukebox to keep the music going even when the stage is empty. 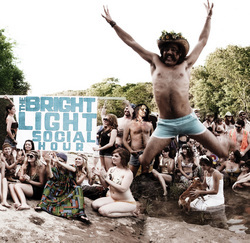 Tonight, MOTR hosts a 2011 MPMF favorite, Austin Texas based The Bright Light Social Hour. To say that this band is a favorite of Austin is putting it lightly. They burst onto the scene with their self titled release in 2010 and managed to pick up six awards from the Austin Chronicle including band and album of the year. However high the acclaim was for the album release, their legend has truly grown since then because of their dynamic live show, and just recently The Austin Post recognized them as the best live act in Austin during 2011. The Bright Light Social Hour brings along a sense of self-described “an unabashedly wide-screen rock group, melding fists-up rock and roll with muscular funk, soul, and psychedelia.” Add in heart, soul, and a ton of energy and you may have a sense as to what their live show is like. You can stream their full length album and live EP here and decide for yourself. They will be taking the stage at MOTR around 10pm tonight, with of course no cover charge.